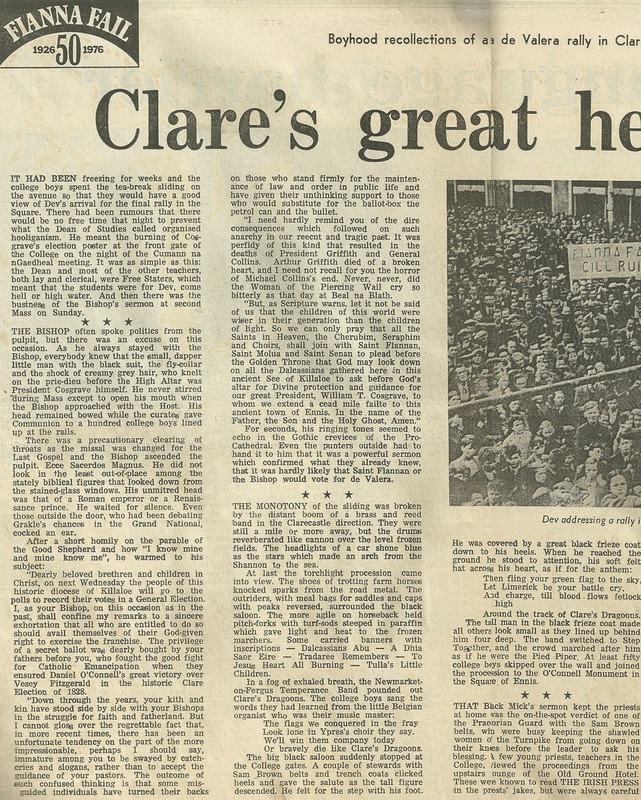 In 1976 The Irish Press printed a supplement to mark 50 years of Fianna Fail. 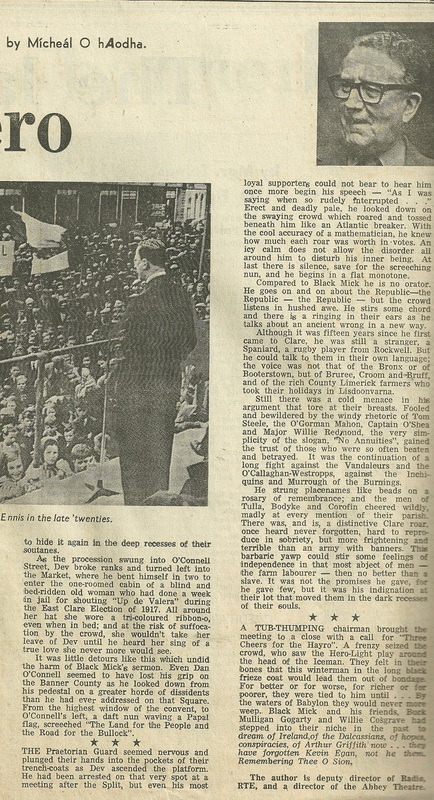 This is one piece from it ‘Boyhood recollections of a de Valera rally in Clare’ by Mícheál Ó hAodha . Its a fascinating read.